I didn’t realize that this is my second post in a row using the set Enjoy Life until I went to write my post. Ooops…but obviously this set really speaks to me. I had the idea for this card from the moment I laid eyes on it. With the theme of today’s hop it was a no brainer that it was time to make it happen. The colors I used are Pineapple Punch from the new In Colors, the beautiful returning Costal Cabana, Whisper White and Memento black ink. The ribbon is Whisper White classic weave. I rounded the corners with the new, awesome Detailed Trio punch. I made the sun image with a circle mask using the 2″ circle punch and simply sponged in the Pineapple Punch ink. Thank you for stopping by today. I hope you’ll hop along to the next stop on the blog hop, Rachael Shedeed at Bluebonnet Stampin’. There’s lots of inspiration to be found in this group – and you don’t want to miss it! When I saw the set Enjoy Life on pg 58 of the new catalog I was instantly in love with the upbeat, positive messages in both the images and the sentiments. Connie Fitzgerald designed this as her $1,000,000 sales set. I paired it with a piece of DSP from Tranquil Textures. I used Night of Navy, Fresh Fig and Whisper White. I took the idea for this card from pg 59 of the catalog. I decided to take a little liberty with this months theme and go with circles. They are round like tires, right? 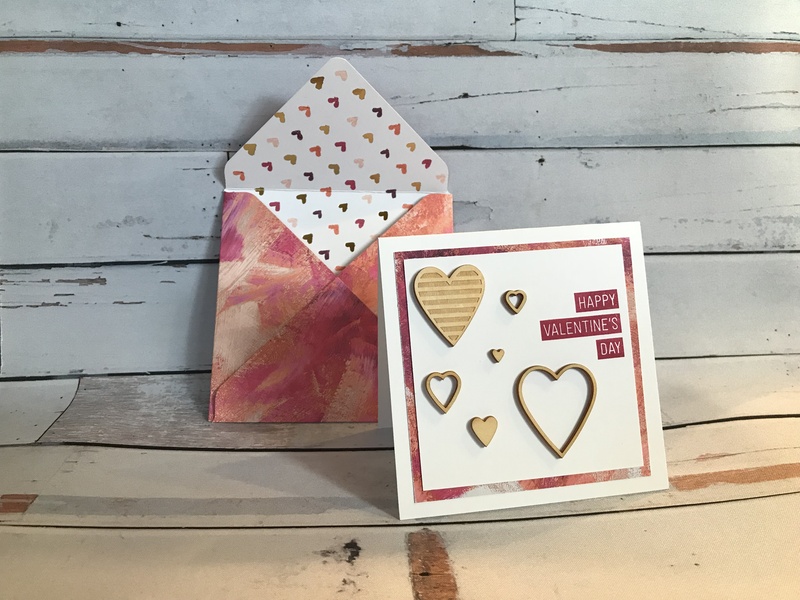 At Stampin’Up’s On Stage event last week we were introduced to one of the most incredibly cool new items that will be in the 2018-2019 catalog. The Delightfully Detailed Laser cut Specialty Paper is unlike anything I have ever seen before. I was immediately in love with the piece of interlocked circles. I layered it on top of a piece of my favorite returning color, Poppy Parade. I was over the moon when I saw that my favorite color of all time was returning as a new color in the new color line up. I lovingly took one of the last 3 sheets I have been hoarding for the last 5 years and was able to cut it without shedding a tear. I added a sweet little sentiment from Tabs For Everything and a bit of linen thread for a card that screams “PAM”!!!! A little more about the laser cut paper. Each pack comes with 8 12×12 sheets and has several shapes and designs and even a bunch of borders. You can just cut out the pieces, or parts of the pieces…but the best part is that they are white on one side and vanilla on the other side!!! The possibilities are endless! You have reached the end of today’s hop. Thank you for stopping by today. Just in case you joined mid hop, I hope you’ll loop back to the first stop on the blog hop, Brian King at Stamp with Brian. There’s lots of inspiration to be found in this group – and you don’t want to miss it! 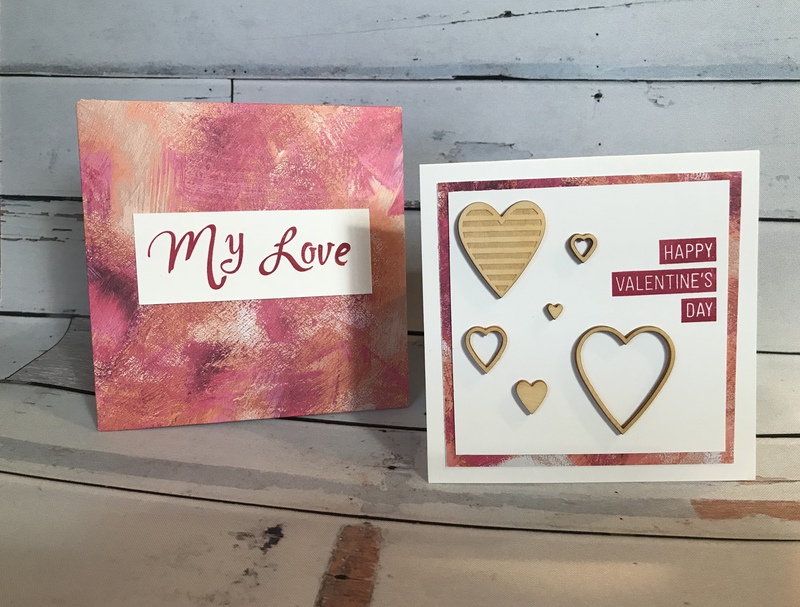 Welcome to InKing Royalty’s February Blog Hop! Today’s Blog Hop today is filled to the brim with projects that celebrate birthdays. The opening line from The Beatles’ “Birthday” song ran through our heads as we joyfully created the birthday-themed creations we share with you today. After you read my post, I hope you’ll hop over to the next person on the list at the base of this post. My card today is a complete and total CASE of a Valentines Day card I received from my dear friend Amanda Merrill. When I opened it I was blown away by the stunning layout using shimmer ribbon as a background. I have quite a hoard of this gorgeous ribbon from the Sale-A-Bration catalog and now I know how I want to use it all! Here is my card which also uses a bit of 1/8 silver ribbon and Pool Party and Powder Pink shimmer ribbons from the Annual Catalog. I punched out a cake from a piece of Cake Soiree DSP and embellished it with a Pool Party banner. The greeting is from World’s Best Trophy. Since it is a photopolymer set I was able to curve my sentiment on the block so it fit on the banner. Here is the card that Amanda sent me. Isn’t it gorgeous???? I love how she kept it so simple. If you are wondering how I adhered my ribbon, I cut a piece of multi purpose adhesive sheet down to 5 1/2 x 4 1/4 and stuck it to a piece of thick whisper white cardstock. I then used Amanda’s card as a guide to stick my ribbon down. I don’t know how she managed to get the exact ribbon layout to fit perfectly on a standard card size but I am glad she did that math for me! Once my ribbon was perfect, I tucked and adhered the ends to the back and mounted it onto a card base. It was a really fun card to make. Thank you for your inspiration Amanda!!! I appreciate you for stopping by today. I hope you’ll hop along to the next stop on the blog hop, Jennifer Spiller at Westside Paper Creations. There’s lots of inspiration to be found in this group – and you don’t want to miss it!